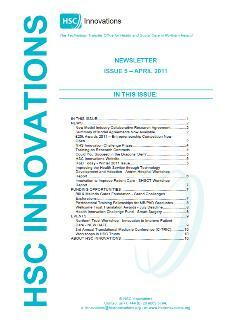 HSC Innovations has published the April 2011 issue of its newsletter, which is aimed at members of staff in the Northern Ireland Health and Social Care Trusts. The newsletter once again includes items of interest to members of staff in the HSC Trusts, including those engaged on research projects. Topics include news from HSC Innovations, word on funding opportunities and forthcoming events. – Could You Succeed in the Dragons’ Den? Download the PDF newsletter by clicking on the image or here. If you need printed copies please contact us.